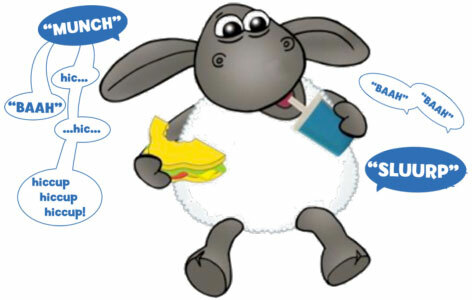 Timmy likes a good meal as much as the next sheep, so next time you go out for a picnic, you can take Timmy with you. Don't worry about bringing extra food for him though - he's very fussy and prefers to bring his own. From Vivid Imaginations, Picnic Timmy comes with his favourite food... a carton of milk and a nice, healthy cheese sandwich. His manners are not very refined though - listen as he munches and slurps his way though his snacks. He's certainly no fool though - he'll know immediately whether you're feeding him the milk or the sandwich and will make the appropritate noises. If you feed him too quickly though, watch out because he might start hiccuping! Please tell us what you think of Picnic Timmy by Timmy Time and Aardman.